Collaborating with community-based organizations to restore ecological and cultural diversity and provide sustainably-grown food to communities on the North Shore of Kaua’i. Rebecca Vidra teaches courses at the intersection of ecology and ethics and is particularly interested in telling stories of restoration projects that heal both nature and community. 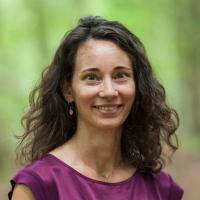 She is the faculty director of the Duke Environmental Leadership Program at the Nicholas School of the Environment. 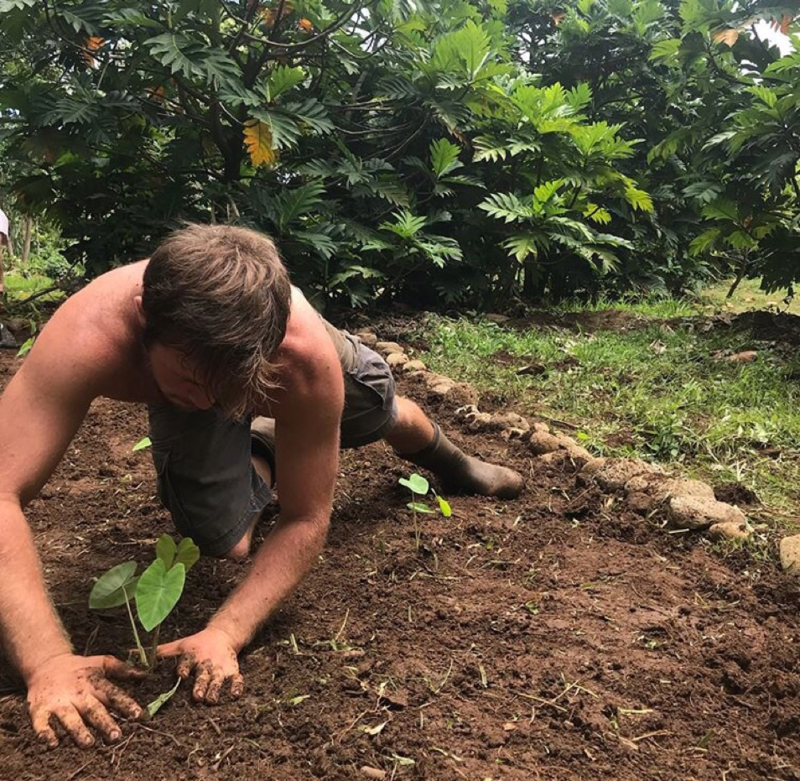 The island of Kaua’i, known as the “Garden Isle,” spans a range from dry desert canyons to lush rainforest, and the island’s tropical ecosystems are both diverse and, in many cases, intensely managed. 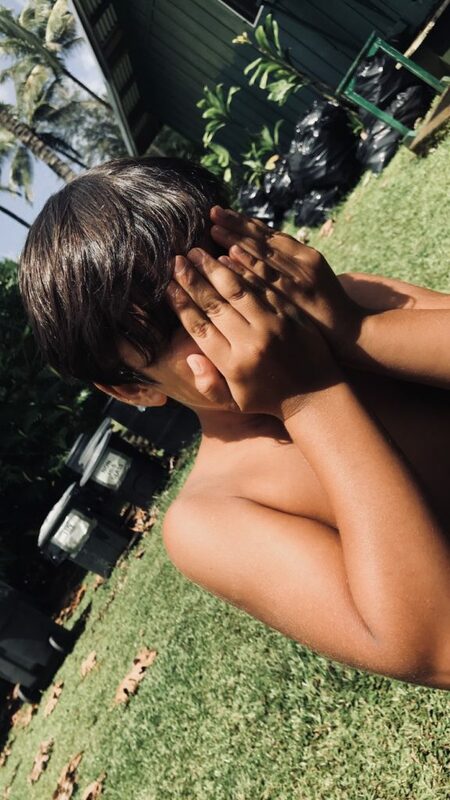 Inland from the white sand beaches, traditional Hawaiian culture and modern environmental management blend in creative, community-centered projects to restore and sustain the diversity of this island. 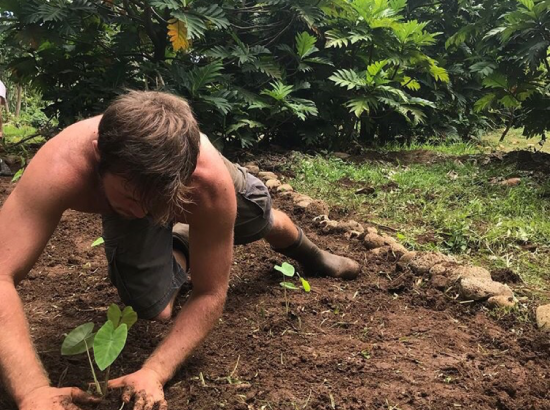 This program offers opportunities to collaborate with organizations on projects related to ecological restoration and sustainable agriculture, often on the same site, which provide important ecological functions and food to local communities. 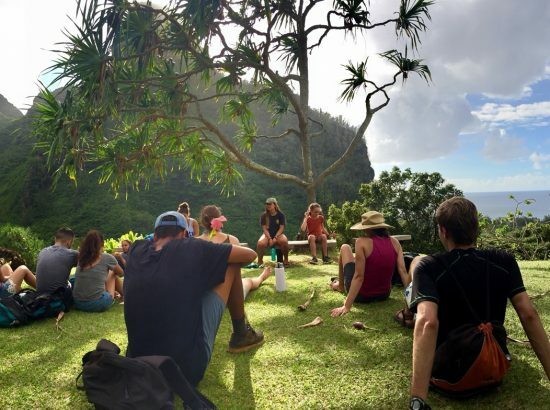 The program leader, Rebecca Vidra, has worked with our community partners on the North Shore of Kaua’i since 2012, teaching a field course in restoration ecology for graduate students and, since 2017, running this DukeEngage program. 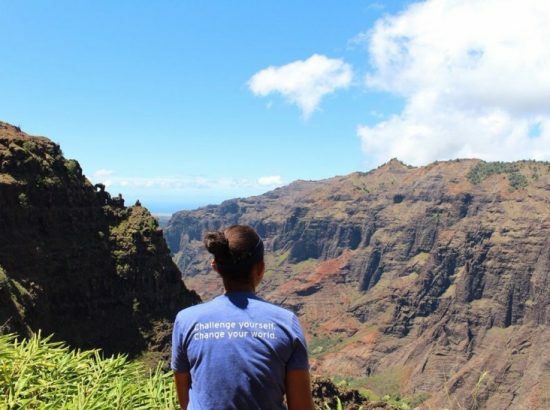 These organizations use different strategies and different foci, though all participate in community-based environmental management of the incredible resources, both natural and human, of this diverse, threatened place. Students will explore and apply basic principles of ecological restoration to a unique ecological and cultural environment, including a focus on ahupua’a (watersheds). 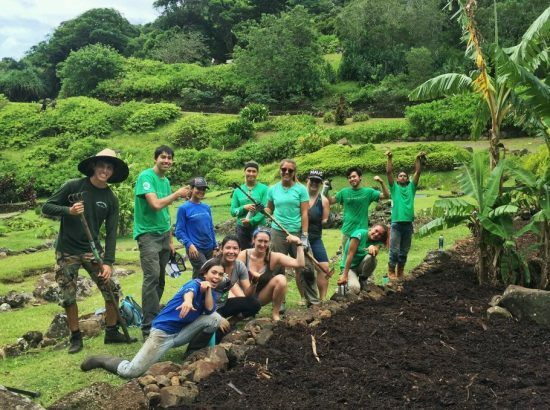 Students will be exposed to a broad range of organizations, all involved in ecological restoration from different perspectives but who also work collaboratively and with the spirit of aloha to restore and inspire community connections. 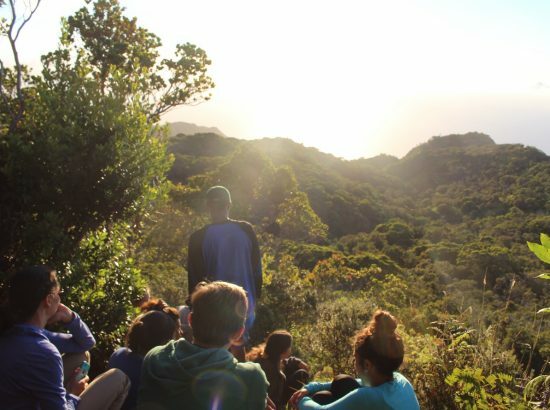 Students will reflect on the relationship between tourism and ecological management and question the balance of economic development and conservation. 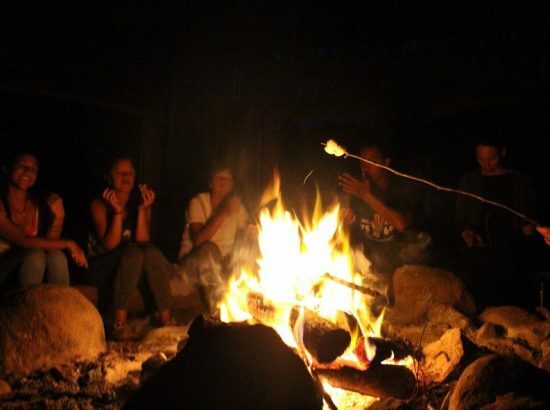 Students will experience the process of becoming part of a community, of transforming their role from tourists or outsiders to co-workers, friends, and contributors. 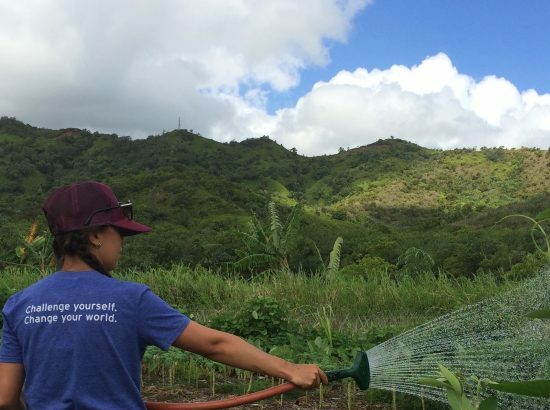 Students will share their experience with each other to broaden their understanding of the challenges and promises of restoring these watersheds and Hanalei Bay. 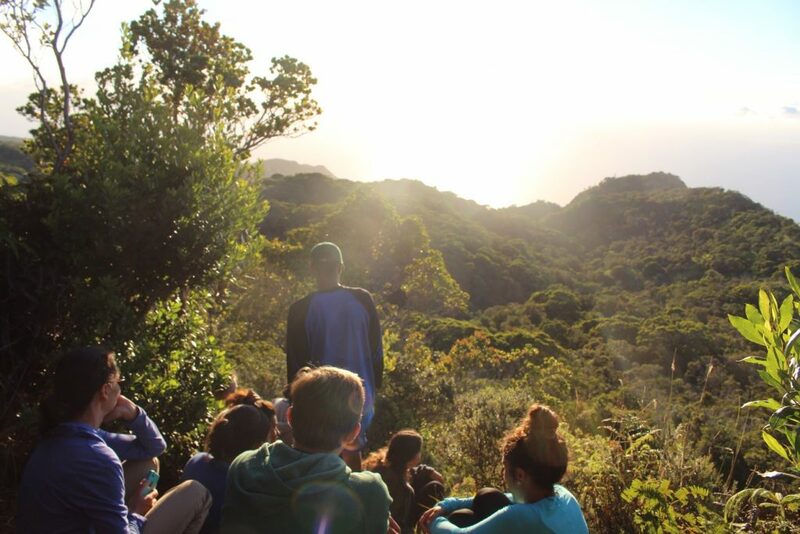 Students will interact with people with different perspectives and experiences and see firsthand the diversity of opinions and even science for managing complex ecosystem processes and human relationships. Students will live together in community and negotiate the challenges of living simply in what is for many a place of luxury. 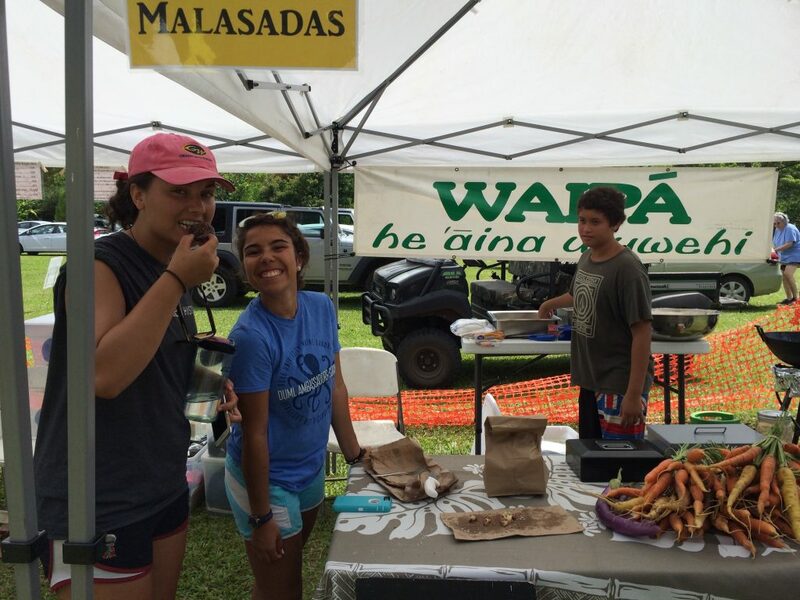 Hanalei Watershed Hui: This organization exemplifies the way that traditional Hawaiian land management is being carried out today. Its mission is to “care for the Ahupua’a of Hanalei, Waioli, Waipa, and Waikoko guided by Hawaiian and other principles of sustainability and stewardship, integrity and balance, cooperation and aloha, cultural equity and mutual respect.” The ahupua’a refers to a traditional land ownership method of dividing land along gradients from the interior mountains to the nearshore environments. 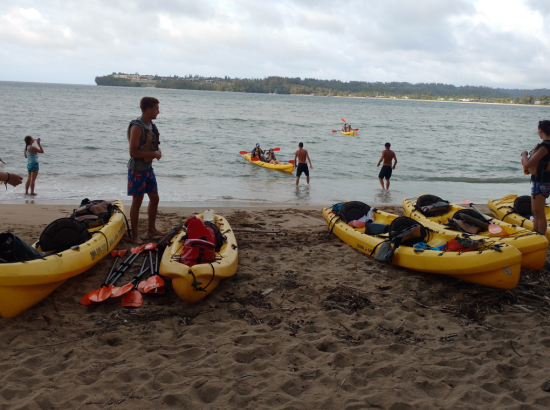 The organization is involved in watershed management planning for the Hanalei Bay, an important ecological and recreational resource for Hawaii. 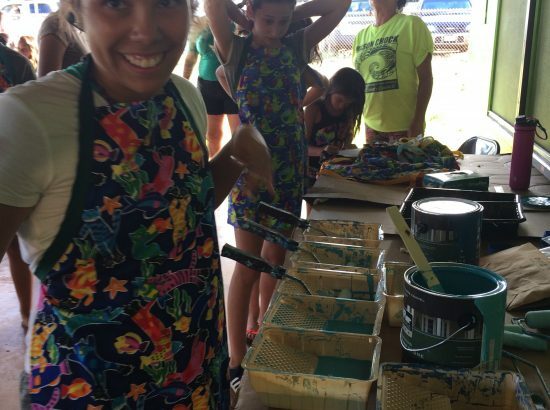 Executive Director Makaala Kaaumoana has connections with the elders in the village of Hanalei and is ready to teach students about the culture of the area, introduce them to locals, and generally facilitate their understanding of traditional ecological knowledge of managing this landscape. Students assigned to work with the Hui may be involved in organizing and teaching summer camps (Ahupua’a Explorations), assisting with Hui conservation efforts at Blackpot Beach State Park (e.g., clean-ups, visitor surveys), and producing GIS maps of the threatened Hanalei Ridge Area. Limahuli National Tropical Botanical Garden: Limahuli is part of the National Tropical Botanical Garden system and is located on the far western end of the North Shore. 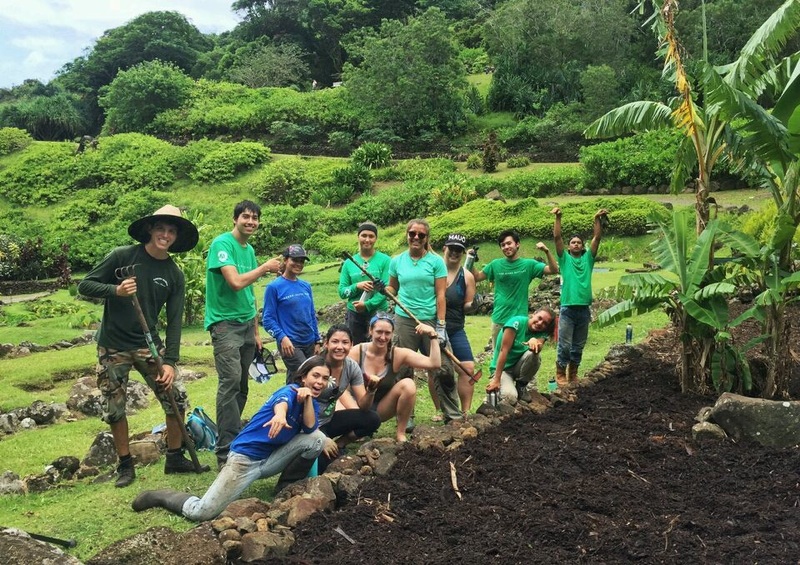 Native plant gardens, a restored ancient lo’i system, stream restoration projects, and cultural plant gardens form the front part of Limahuli, open to visitors. The Preserves, located in the “back” of Limahuli Valley are currently being restored to promote native endemic and even endangered plants. 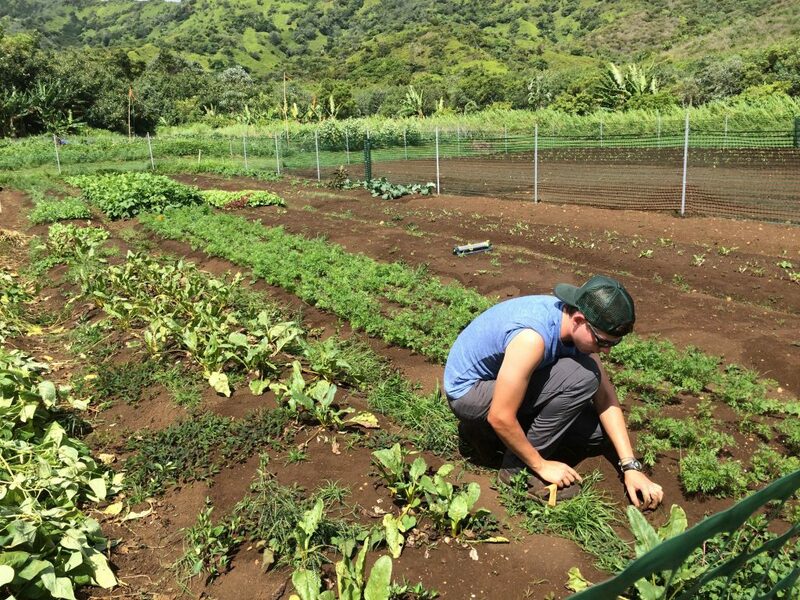 Students will work with the Education Staff and others on projects ranging from native plant cultivation, creation and delivery of a summer camp and other visitor educational programs, and restoration work in both the Garden and Preserves. 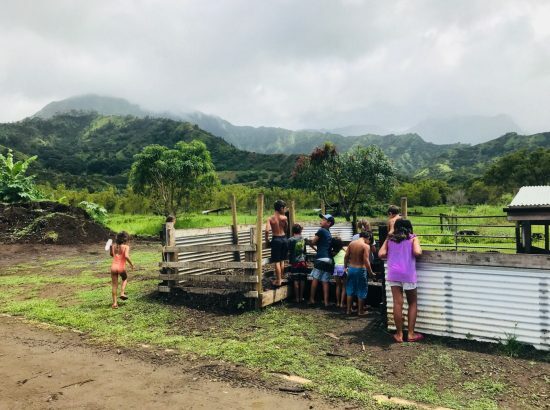 Waipa Foundation: By using traditional land management practices to restore the land, Waipa works directly with locals, including children, on a large restoration project on their 1,600-acre site. 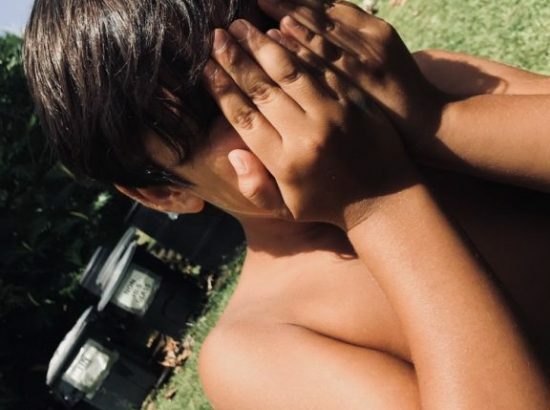 They are interested in creating a learning center for school groups and the local community and have a keen interest in growing the demand for local, healthy food, which is in evidence at the Tuesday Farmers Market that Waipa hosts and supports. Students placed here will assist with restoration efforts, support the summer camp program, and help to run the weekly farmers market. 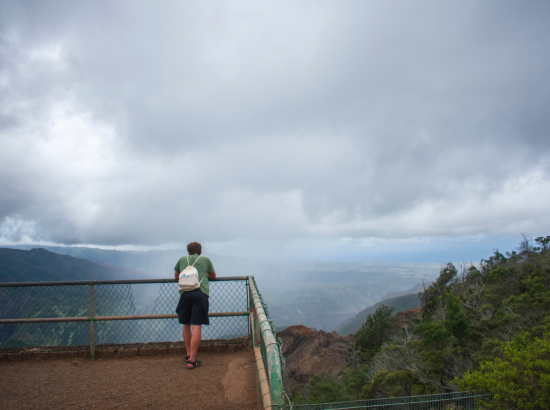 Kilauea Point National Wildlife Refuge: This wildlife refuge focuses on endangered shorebird recovery through a combination of habitat restoration, management, and environmental education programs. 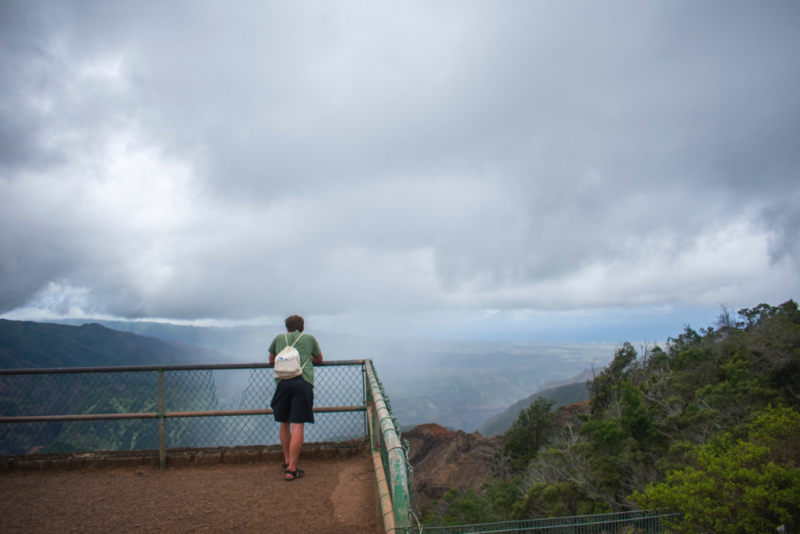 Maintaining the Kilauea Lighthouse is part of the NWR responsibilities and thousands of visitors come to visit the lighthouse and associated seabird viewing areas annually. Students will work primarily with education staff on visitor and school programming, assist with habitat restoration efforts, and participate in other refuge management activities. Student placements will be made after an interview with the Program Director, in consultation with community partners. 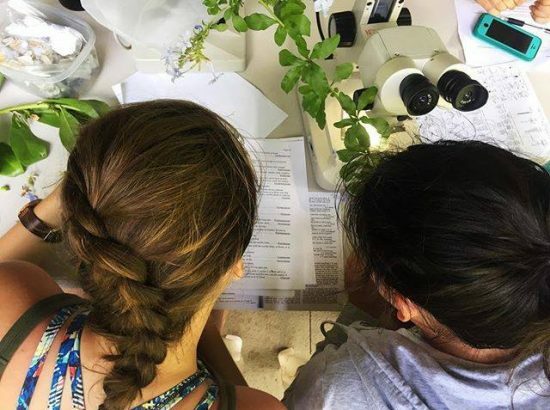 Course Requirements: None, though students should have demonstrated interest in environmental science, conservation and/or sustainable agriculture. Ability to adapt to emerging challenges: approaches situations with an open mind and a willingness to be flexible in response to new challenges as they arise. Ability to cope with rustic living conditions: embraces living lightly on the land with limited access to comforts of home. 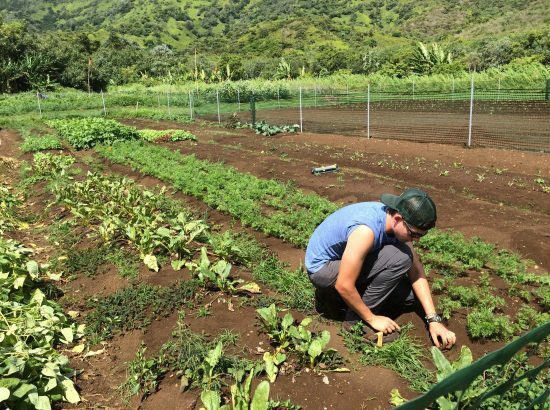 While this program will not require any specific knowledge or training, students are expected to gain an understanding of basic ecological principles, sustainable agricultural techniques, and conservation strategies for both terrestrial and marine ecosystems. Several courses are related to this work, many of them taught in the Nicholas School. 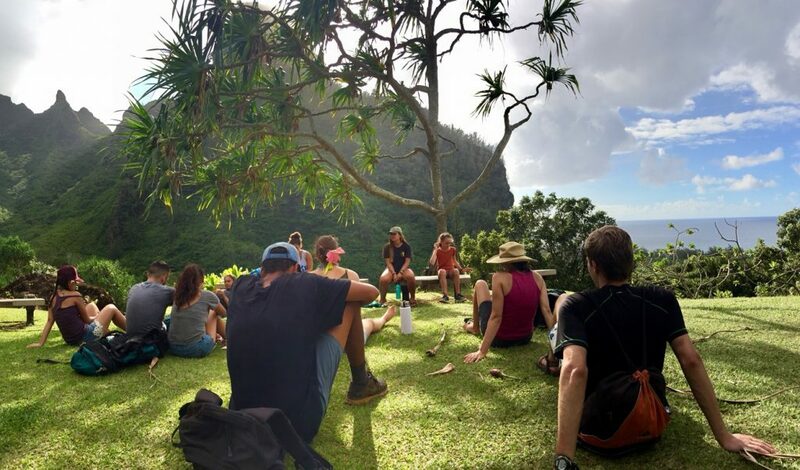 This program relates most closely to the Program Director’s courses, Introduction to Environmental Science and Policy and Environmental Ethics courses, which use Kaua’i as a case study. Stuart Pimm’s Conservation Biology course would be an excellent follow-up course, as would John Poulson’s Tropical Ecology course and several courses at the Duke Marine Lab. 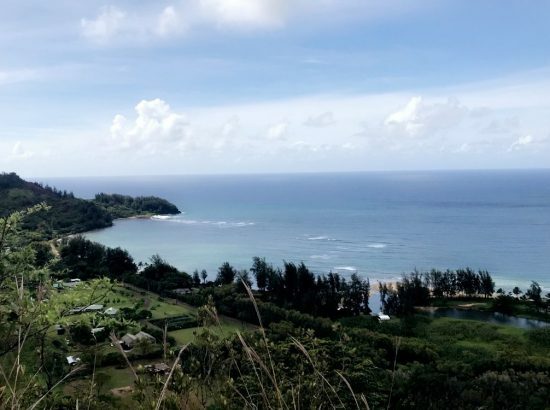 Description of Community: The North Shore includes the small towns of Kilauea and Hanalei and the larger resort community of Princeville. 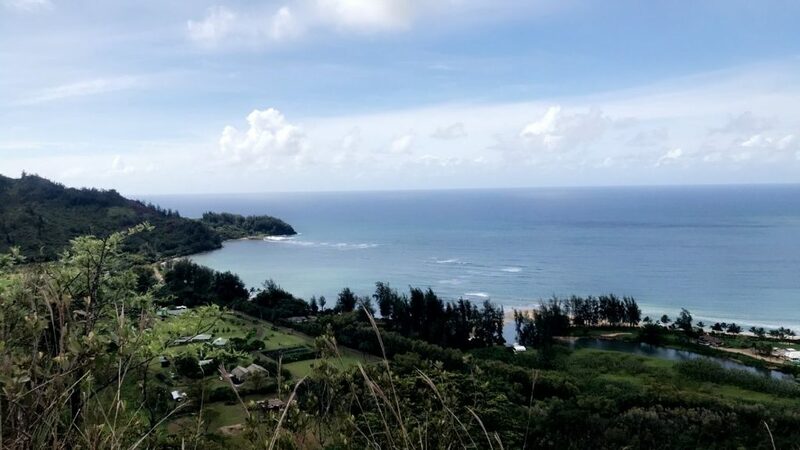 Stretching west past Hanalei Bay, the community of Haen’a ends at Ke’e Beach, which begins the NaPali coast, famous for its incredible vistas of the Pacific from tall seaside cliffs. Tourism is the focus of the economy for the island and is especially important to the North Shore. However, historic uses of the land as rice and taro fields continue with agriculture providing food and some local jobs. Housing and Meals: Students will be housed in shared accommodations on the North Shore. Basic furnishings and kitchen facilities will be provided. Transportation to a grocery store and a farmers’ market will be provided on a weekly basis, and students are encouraged to prepare shared meals. Transportation: DukeEngage provides or arranges transportation to and from service placements and all scheduled program activities. 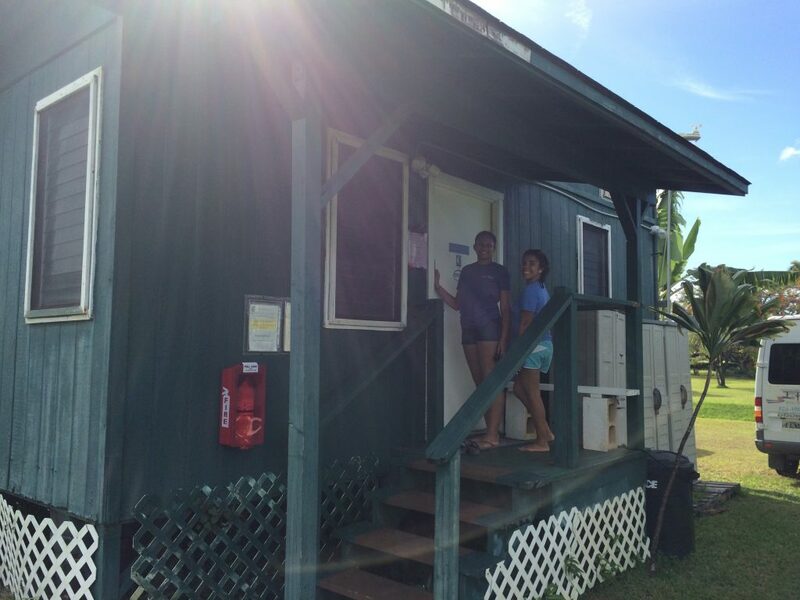 In Kaua’i, a rental van is driven by program leaders. Limited public transportation is available throughout the island during free time. Communication: We assume all students will have a personal cell phone for program-related and emergency communication. Some areas of the island have spotty reception. WiFi access will be provided in the accommodations. 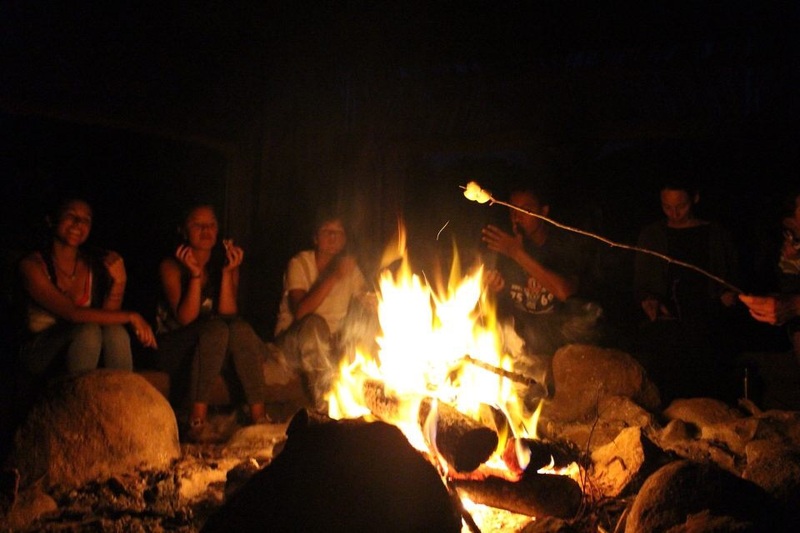 Opportunities for Reflection: The program leader/site coordinator will lead weekly check-in sessions, including invitations to our community partners to join us for a meal and reflection on the role of restoration in sustaining local communities. We will also have opportunities to explore hiking trails, visit an archeological site, and attend local festivals and music events. 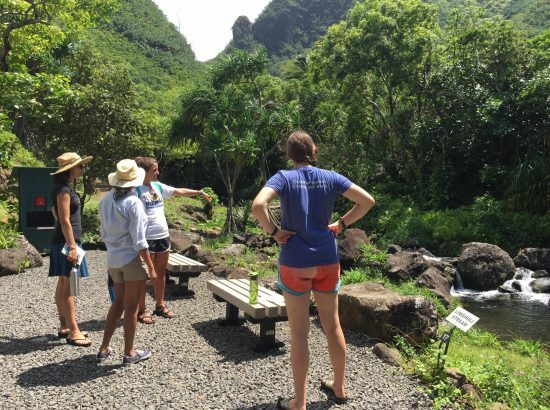 Students and coordinators will create and maintain a program blog to be featured on the websites of the Nicholas School of the Environment and the DukeEngage program, which will allow us to reflect on the program themes throughout our time on the island. Other Opportunities: Most student work assignments will take place during the normal “work day,” with occasional evening and weekend events. We will share a weekly group meal to facilitate conversation around program themes and to create space for reflection. 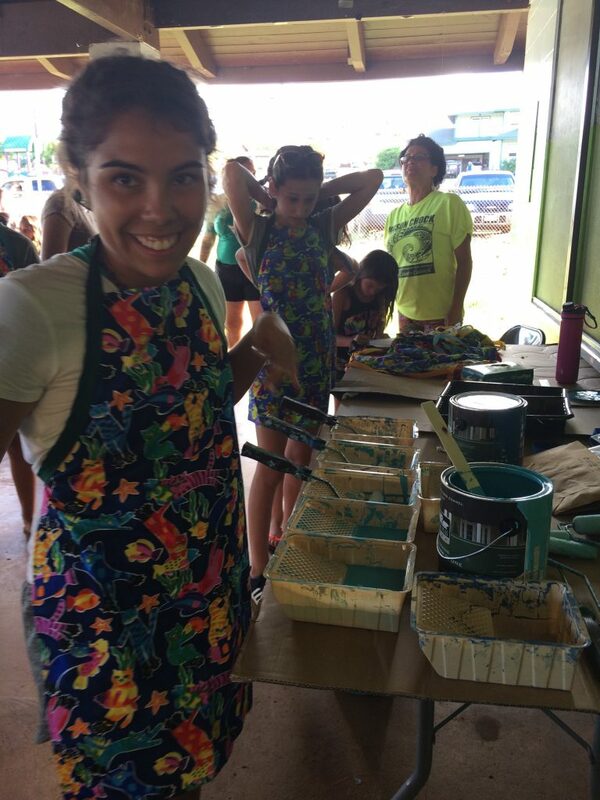 Enrichment activities will typically take place on the weekend and may include a trip to Koke’e State Park, volunteering at community workdays for local nonprofits, visiting an archeological/restoration site on the South Shore, and exploring local hikes. We will reserve most evenings and a few weekends for free time. Since transportation is not provided for self-organized activities during your free time, students should expect to spend much of this time at home with the group. 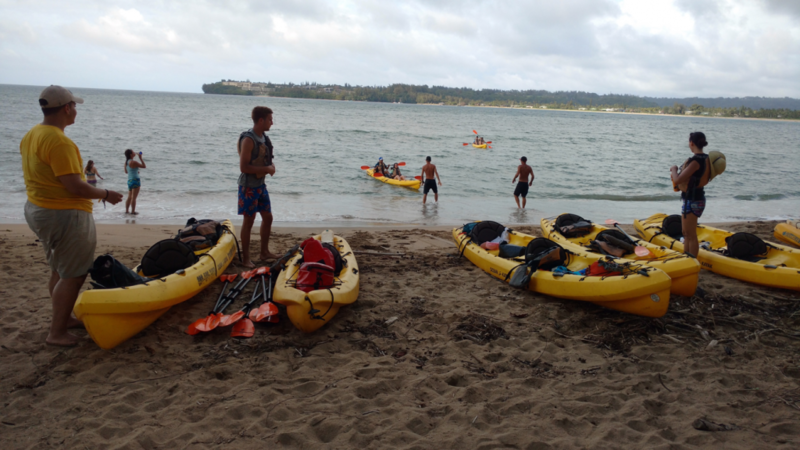 Open water swimming is not a sponsored activity in any DukeEngage program. In addition to visiting the websites of our community partners, you can learn more about how ecological restoration and sustainable agriculture coexist in this publication: http://er.uwpress.org/content/32/4/345. DukeEngage-Kaua’i has also had a robust Instagram feed (search “DukeEngage Kauai”).